Running as an East-West thoroughfare from Stanley Park to Burnaby, Hastings Street offers some of Vancouver`s most unique history. With a diverse cultural influence, the area blends industrial, commercial, retail and residential properties. Views of Burrard Inlet can be seen from the upper slopes of the area and the community features many childcare facilities and language schools. 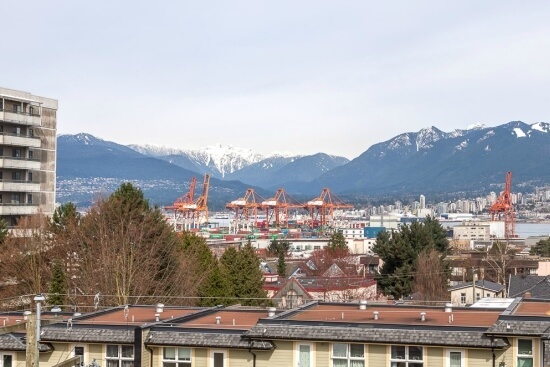 Areas like Crab Park offer a nice connection to downtown with sweeping views of the North Shore Mountains and the big industry that our city was built on. As one of the city’s oldest neighborhoods, the area’s historic buildings are renovated and new developments change the cityscape year by year. Gastown at the west boundary of the neighborhood has seen a complete revival and is now home to some of the city’s most expensive, interesting and well designed homes, retail stores and eateries. It’s become a popular tourist destination that has pushed it’s demand for style and art east to the edgy-but-evolving Railtown. Railtown with it’s iconic factories and steamy industry at the water front – is set to be the home of rapid tech sector growth. We will likely see the development of new condos, rental units, retail amenities and well planned access to downtown. Our clientele usually have a feeling of good value in the area. With such quick access to the city core, and new zoning changes that increase density and add amenities – this community will change a lot in the coming years. We are watching closely.